We have the following subscriptions available for our site. To join, simply click on the Sign Up button and then complete the registration details. If you have a discount code you will be given the opportunity to apply it in the next step. Purchase an Annual membership and save more than 50% compared to a monthly membership. 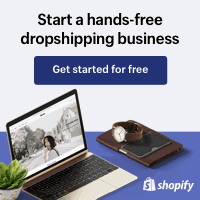 Your Annual Inner Circle Business membership will allow you to access the members only areas of the Dropship Australia. This is for SERIOUS business people who are committed to their business and are willing to invest in their education. - Business Groups where you can collaborate and create joint ventures. - Community forum to ask us questions, be notified of new suppliers as they are added and commuicate with other members. 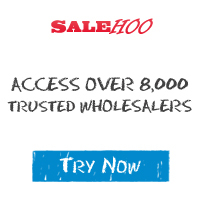 - Dedicated Support so you can lean on our TWENTY PLUS YEARS of drop shipping and online business experience. You will also be invited to an EXCLUSIVE 'Inner Circle Members Only' Facebook group to learn, ask questions and share your own experiences. We will be having regular LIVE Q&A sessions and introducing you to others who can help you to success with your business. The ANNUAL Inner Circle Business membership is a subscription of AUD$97.00 per year. You are always free to cancel your membership or downgrade to the FREE membership. If you downgrade you will of course lose the benefits of being a member of the Inner Circle. Your monthly Inner Circle Business membership includes all of the Annual Inner Circle Membership. Inner Circle Business membership is a monthly membership of $19.97 per month. You are always free to cancel your membership. If you downgrade you will of course lose the benefits of being a member of the Inner Circle. SAVE MORE THAN 50% WITH AN ANNUAL MEMBERSHIP and get more for your money! See our Annual Inner Circle subscription above. This is the suppliers only membership. This membership allows suppliers to add their business to the suppliers directory. With a listing in the directory our resellers will be able to view your business details, contact you directly with their inquiries. You will also be subscribed to our 'Suppliers Newsletter' where we will be introducing you to services and keeping you updated on new business tools to help you to implement or improve your supplier business. You can unsubscribe at any time. Supplier members have limited access to the Inner Circle Membership features. To gain access to the to communicate with our reseller members and other suppliers an 'Inner Circle Membership' is required. If you wish to promote your products and services in the Inner Circle Members area you may wish to subscribe to wither the Annual or Monthly Membership packages. With an 'Inner Circle Membership' you will also be invited to an EXCLUSIVE 'Inner Circle Members Only' Facebook group so you can communicate with our reseller members. If you wish only to list your products and service in the suppliers directory please proceed.